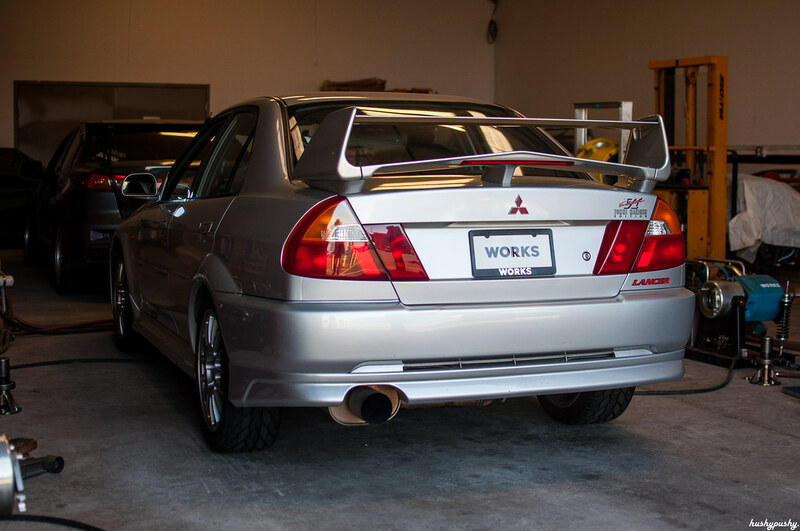 When Mitsubishi finally brought the Lancer Evolution over to North America, it was already 2003 and the “Evo”, as it was lovingly known around the world, had already been through seven previous iterations. Understandably, Americans were itching to finally get their hands on one. 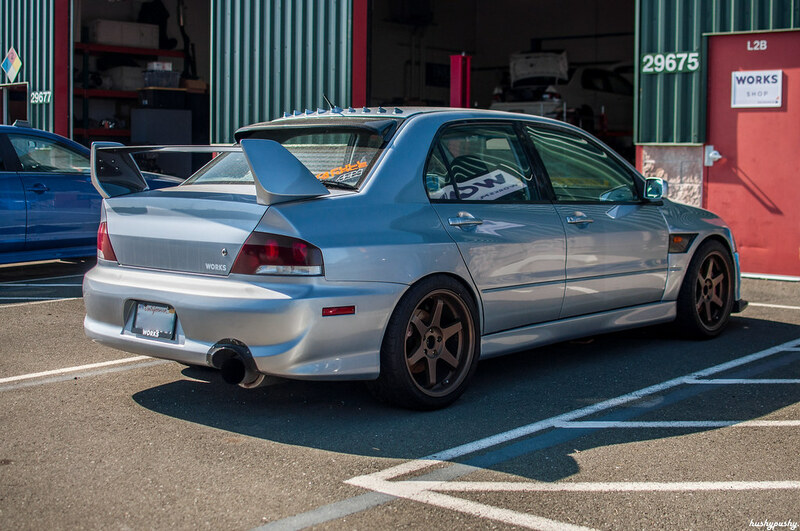 Like the launch of the Mustang or Miata, the Evo’s arrival in the United States was a seminal event that sent a huge ripple through the tuning industry. One of these ripples can still be seen going strong today. 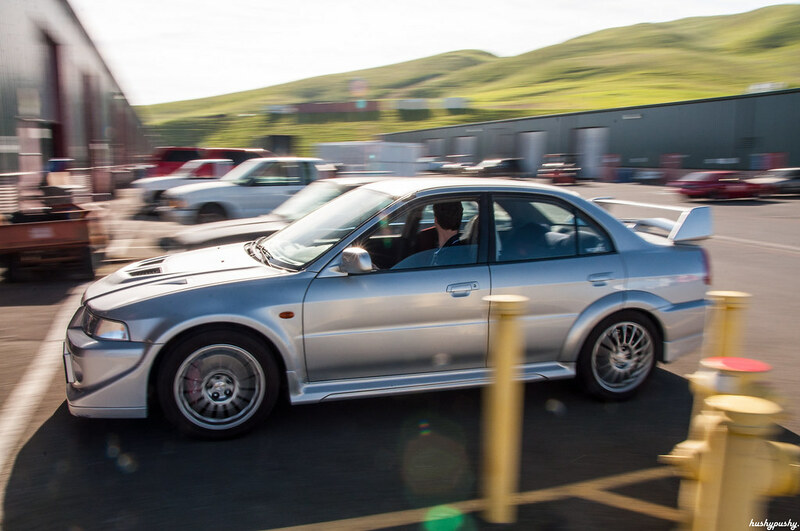 WORKS Motorsports, located right up the hill from the karting track at Sonoma Raceway in Sonoma, California, was originally founded because of the news that Mitsubishi was finally bringing its rally-bred monster to our shores. There are hundreds of “tuner shops” in this country. 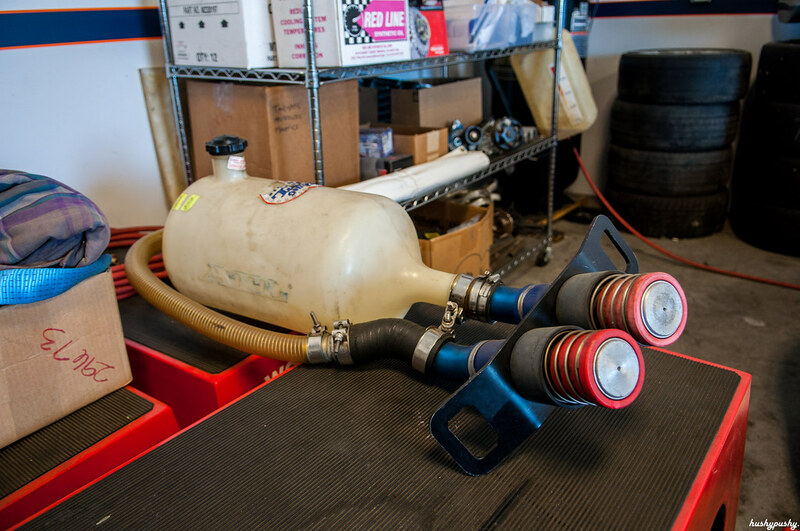 Most of them are simply resellers who also perform maintenance on cars, but there are some that have their own line of products. That’s where it starts to get questionable. Where do the designs for these parts even come from? Well, unfortunately most of the time you can’t really answer that question. And even when the product was created in-house, who designed it? 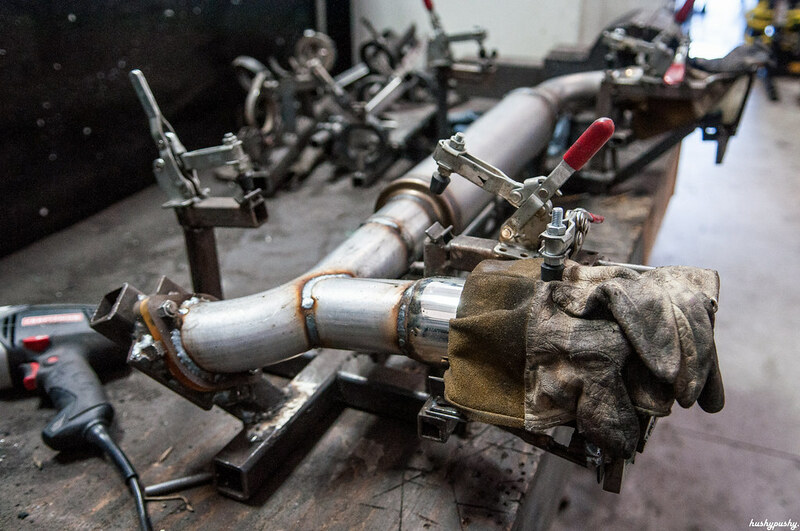 It’s one thing to weld up a few tubes for an intake or exhaust, but how do you know if it actually does anything? 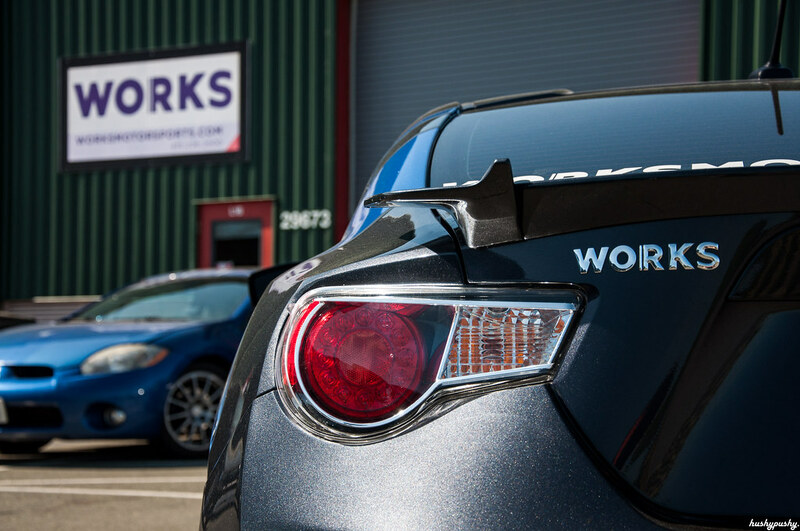 That’s where WORKS provides a compelling service. 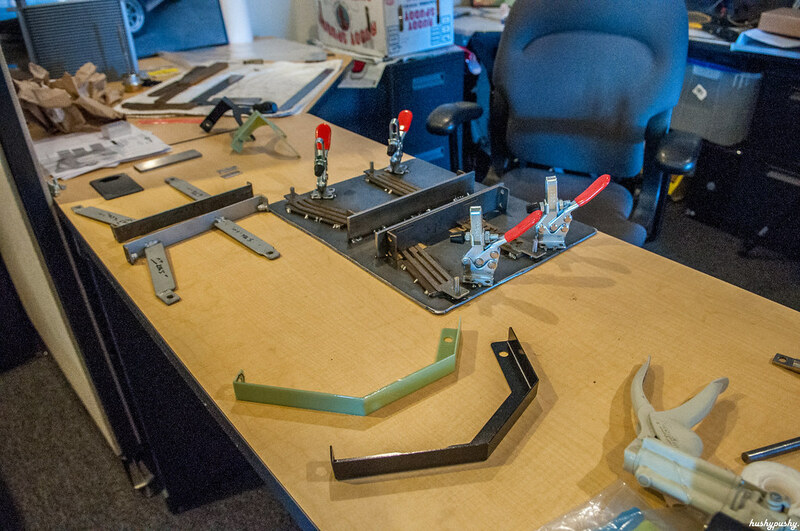 They have technicians like any other shop, but crucially, they also have engineers. 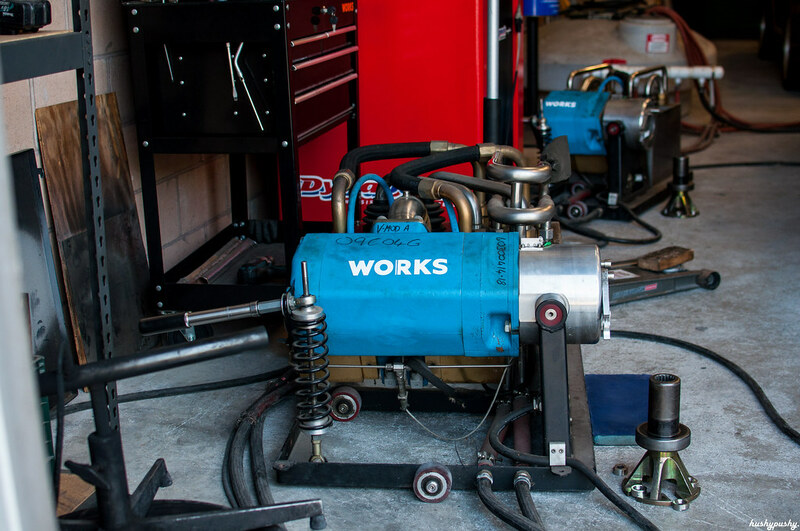 Everything they make and sell is completely designed in-house to be at least OEM quality, and tested on the dyno to make measurable gains. Take their line of exhausts, for example; this is where their philosophy really shines through. 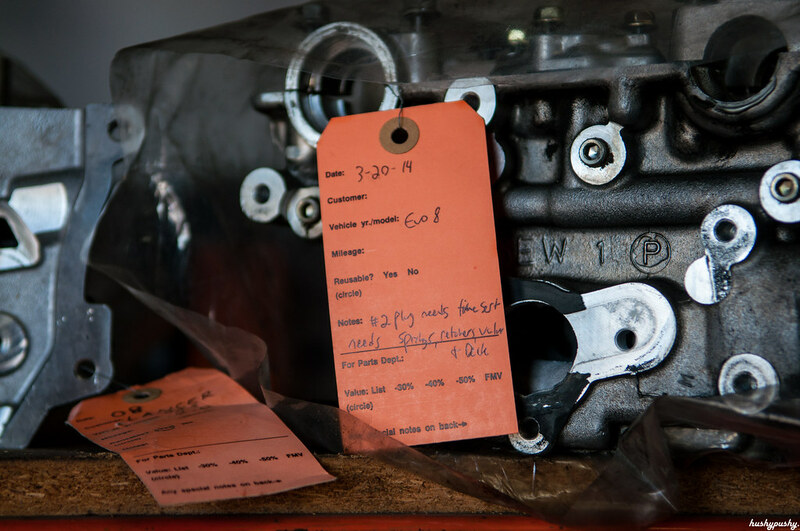 Each piece of their exhaust system bolts right up to the OEM flanges, which means you can swap out any or all of the components as you like. Their exhausts are much lighter than the OEM pieces, plus they’re tuned to sound great and even make a couple extra ponies per piece. 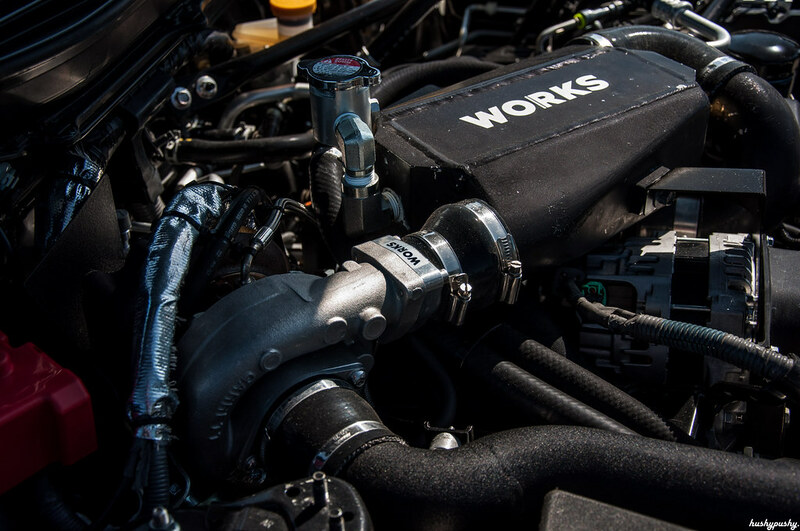 As an FR-S owner, however, there is one big piece of in-house engineering that really excited me: their very own CARB-exempt turbo kit for the Subaru BRZ and Scion FR-S. This is their shop demo car, and I’ll be taking a look at it in another post. But for now let’s take a look around the shop. 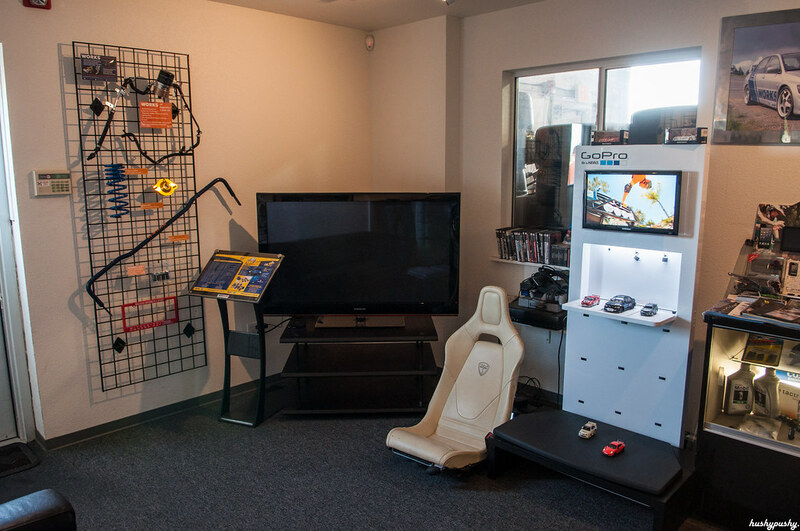 Inside the waiting room is a product showcase and a collection of toys…hey, is that a Playstation in the corner? 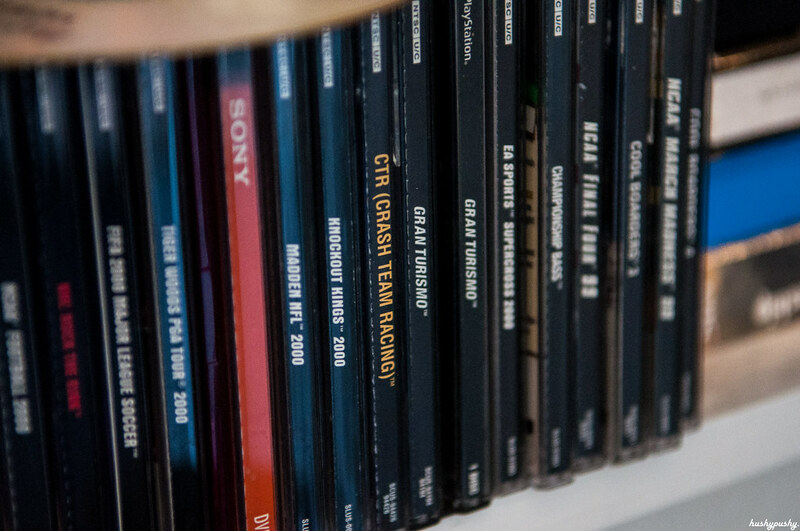 If you were raised in the ’90s (like me), these are some important pieces of software. 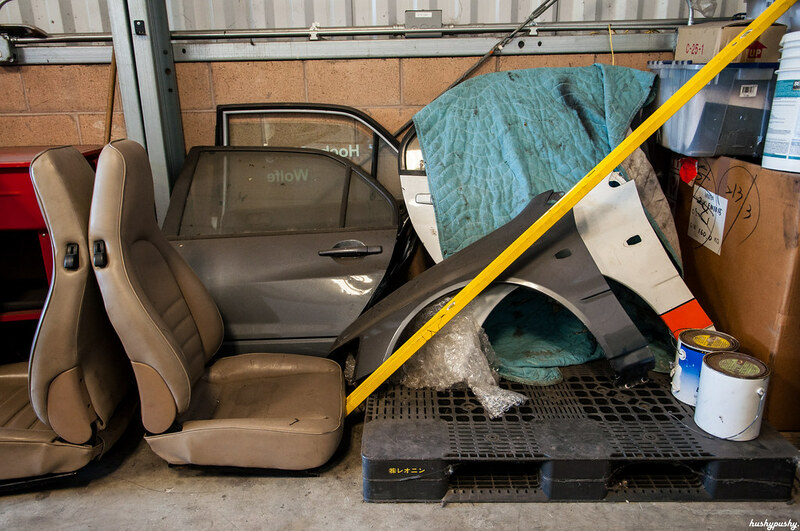 The shop itself is quite large, offering a nice bit of elbow room and no feeling of crammed in cars or parts. 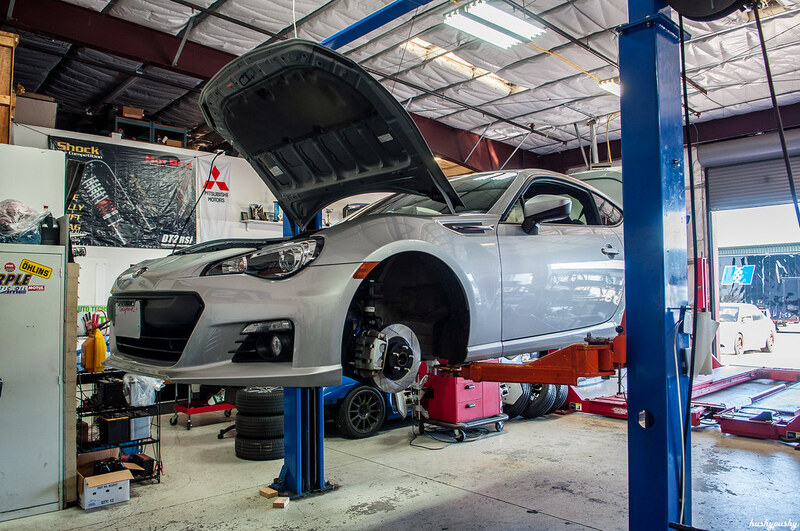 When I was there, this BRZ was getting a few choice WORKS upgrades. 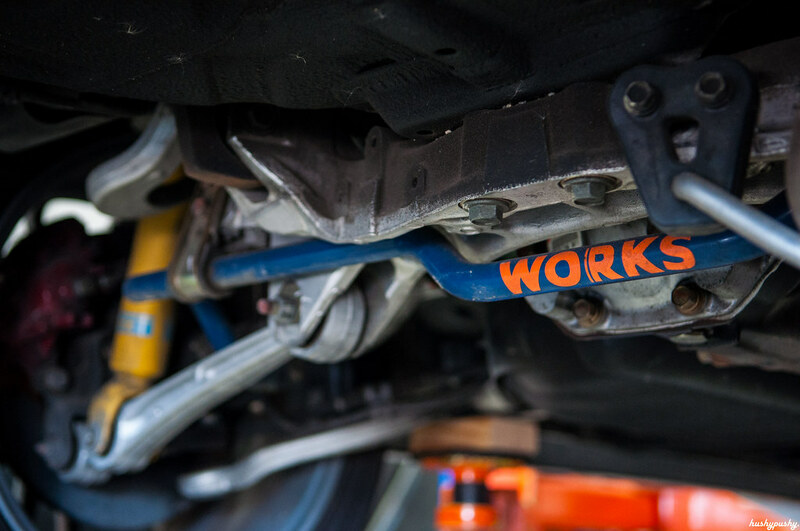 Namely the WORKS blue brake pads and stainless steel brake lines, which should really improve the braking feel and performance over stock. 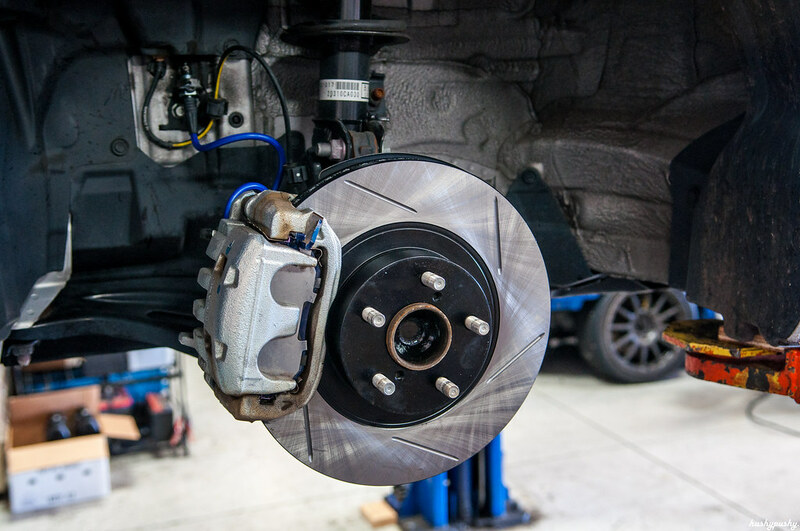 The OEM pads are great on the street but experience pretty severe fade after only two or three big stops, which is why one of the first mods to my FR-S was Hawk HP Plus brake pads. 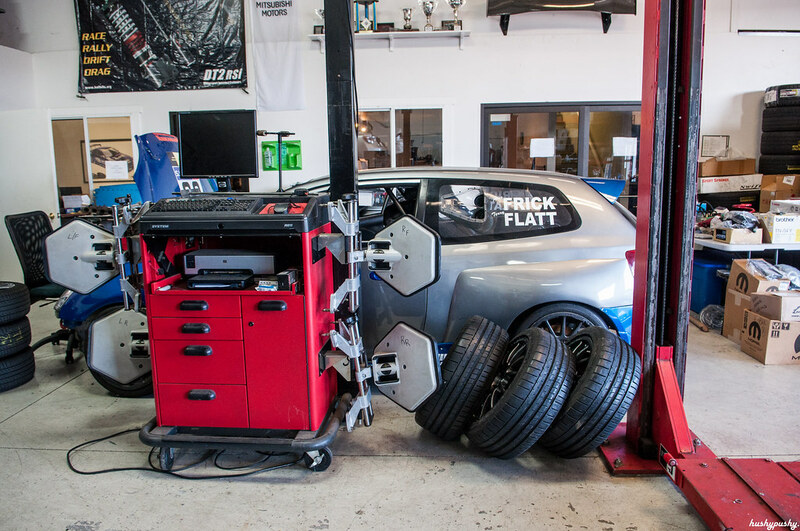 In addition to normal customer cars getting bolt-on upgrades, WORKS also preps and maintains full race cars. What is that behind the alignment rack..? 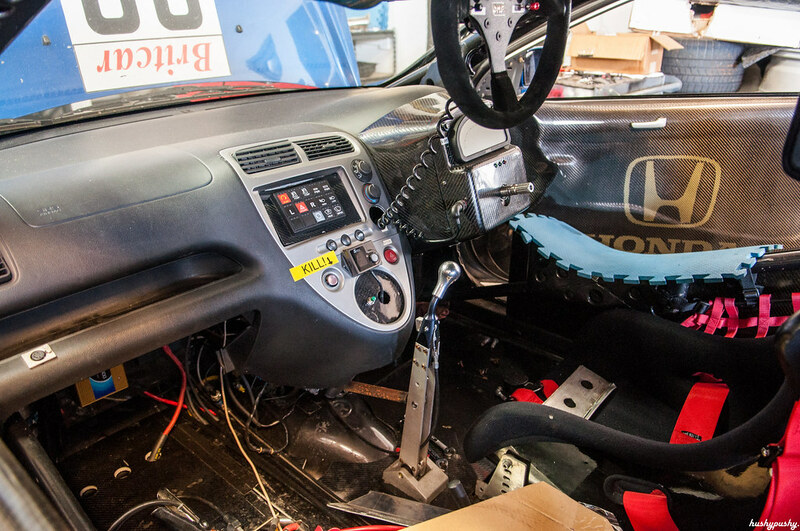 Yep, that’s a real UK-spec, right-hand-drive EP3 Honda Civic Type R. Wow! Check out all the crazy race-spec bits, like the full carbon fiber doors. Around the corner on the side of the shop is the fabrication area. 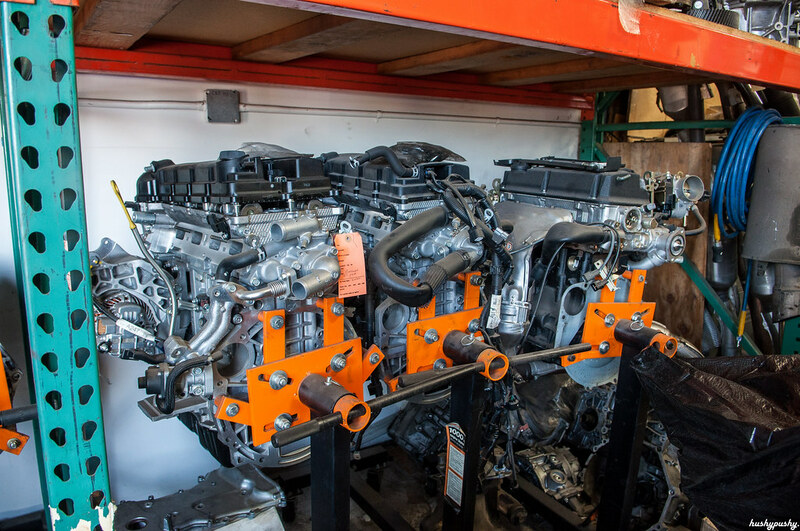 That’s where you’ll find the exhaust jig you see up the page, as well as this row of engines in various states of build and re-build. 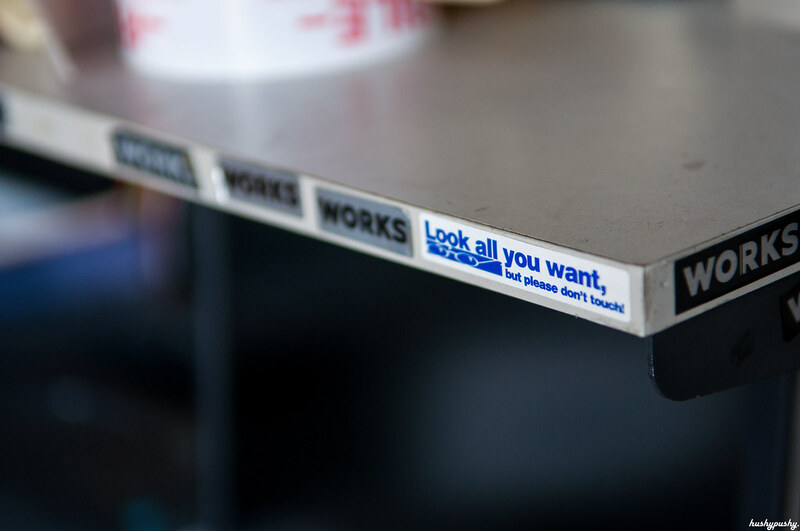 Tags: useful way before the internet. As a North American car enthusiast, this would certainly be classified as a unicorn. Any Japanese car newer than 25 years old is a sight to behold in the USA (particularly extra-strict California), but a LHD special edition of a car that’s already rare? This is one of those cars that I’ve always dreamed about seeing, but never thought I would. 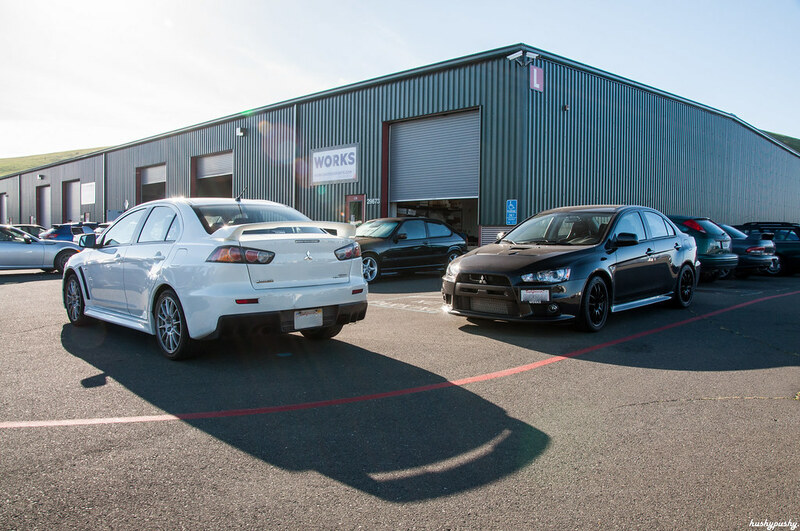 Anyway, look for a separate article on that car (as well as the race-spec Evo X behind it). Are those old Porsche seats? 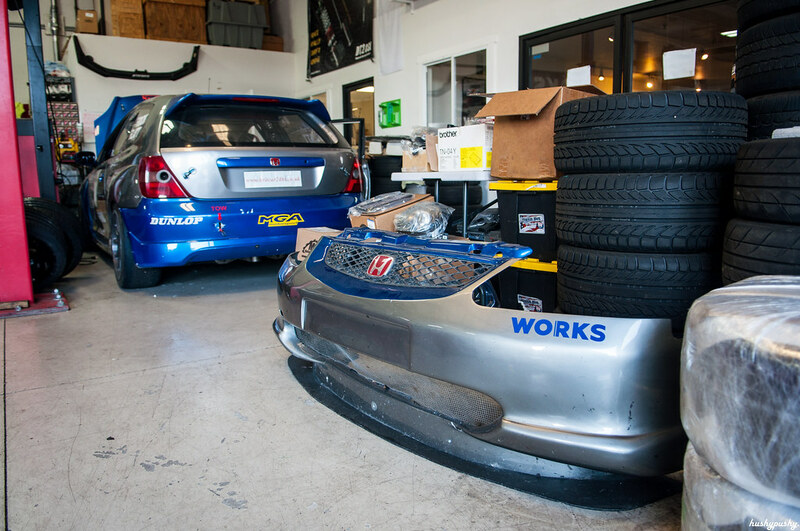 And those seem to be the old doors and fender(s) from their racing Evo X.
I love looking at all the old stuff lying around shops, and imagining the story of what they are or how they got there. Rain tires with one more session? Is that a Honda intake manifold? And was that ramp re-purposed into a sliding stool? What about this fuel can? When was the last time fuel was dumped in anger, and into what? A lot of stuff gets forgotten, but it’s not gone. 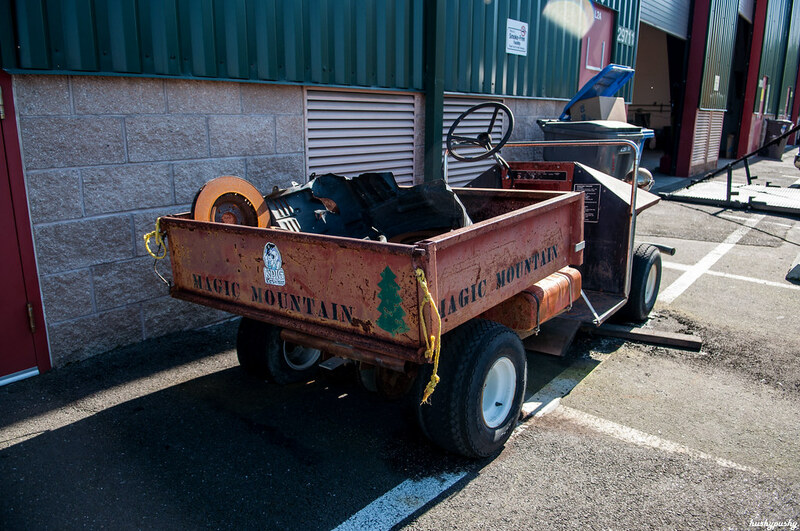 Take this “Magic Mountain” golf cart, for example. 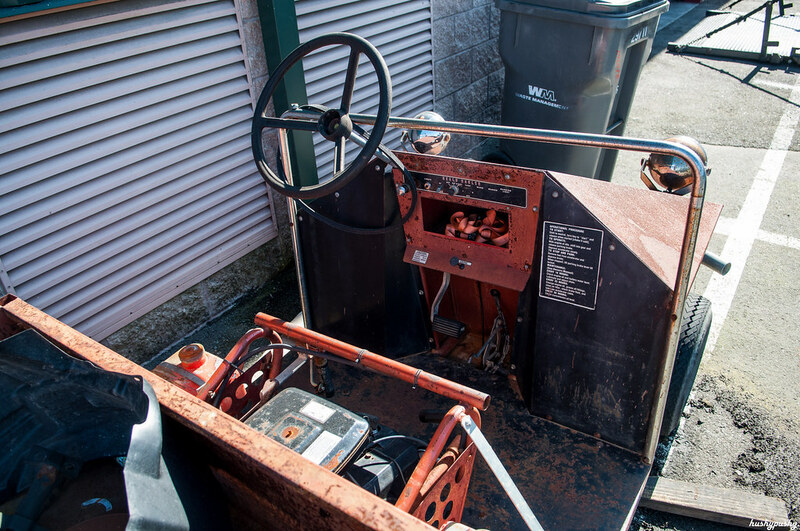 It might not have a seat, and I doubt it runs anymore, but the potential is there. This would be a fantastic pit vehicle, with its spacious cargo area and already generous patina. Back up front, I caught a technician in the act. He laughed right after I took this shot—yep, demonstrating the high skill level of WORKS technicians; just look at him hand-thread those lugnuts! 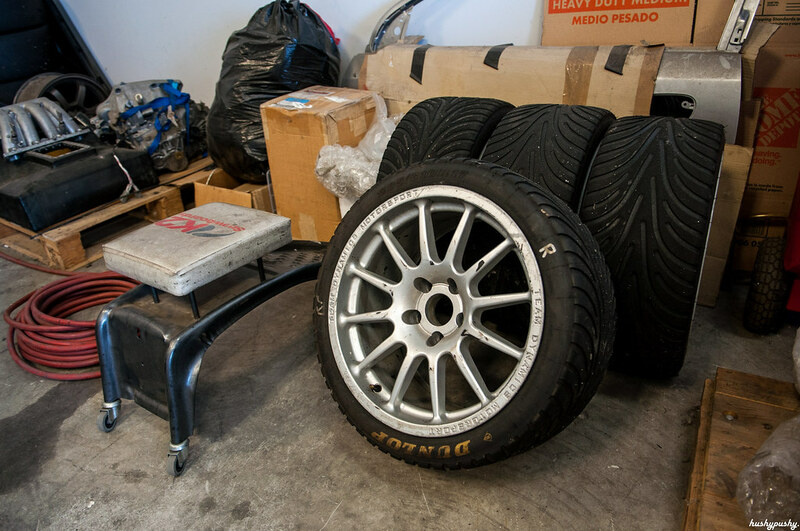 Are you interested in tires? 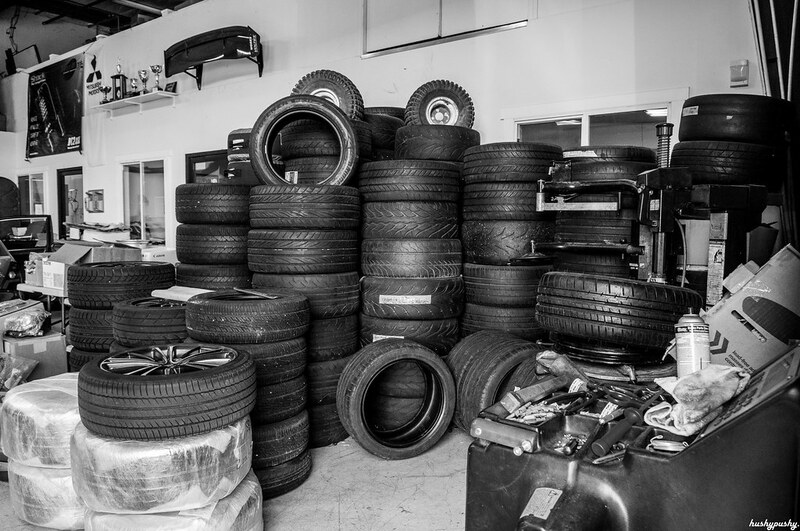 Consider yourself a true tire geek if you can name every tire model in this photo. Ending on a teaser? Of course! Coming up next: car features.